When Louisiana businessman Ronnie Remedies got a text message saying his friends had been involved in a deadly crash in Alberta's scenic Jasper National Park, he says it was like being punched in the stomach. But then Remedies, a commercial real estate developer who also owns Shreveport Limousine, sprang to action to help bring the loved ones of Curtis and Angela Elkins to Edmonton, where survivors of the collision were hospitalized. "Without even knowing how far it was, I said I'd make it happen," Remedies said from aboard his private plane in Edmonton Thursday. "I immediately began to scramble and rearrange the rest of my schedule." Six people died in the crash, which happened about 5 p.m. Tuesday on the Icefields Parkway about 60 kilometres south of the Jasper townsite. RCMP say a van carrying five members of a family from Louisiana and Texas was heading north when it collided with a southbound vehicle, causing both to catch fire. 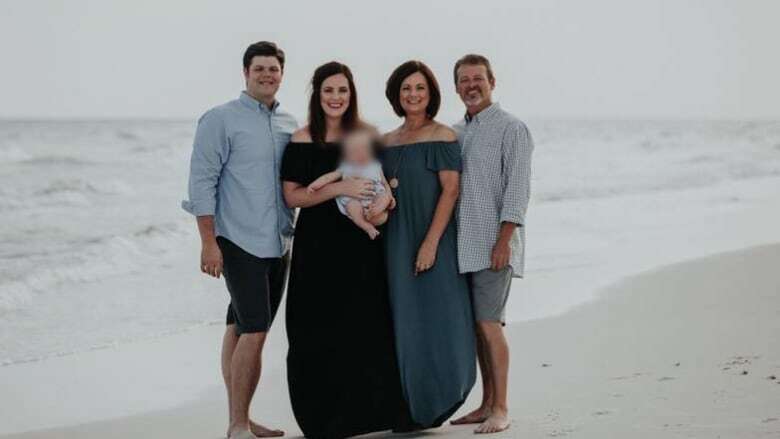 Angela Elkins and her son-in-law Nick Copeland died, says a Facebook post from Louisiana Rep. Mike Johnson. Elkins' husband, Curtis, and daughter, Sarah, were taken to hospital in Edmonton in serious condition. A toddler, Sarah and Nick Copeland's son, survived with no injuries. All four people in the second vehicle were killed, but no details were immediately available about their identities. Remedies said Curtis Elkins owns a pyrotechnics business. The two got to know each other about five years ago through their work in the wedding industry, as Remedies supplies the limousines and Elkins is frequently hired to set up fireworks. Every year there's a bridal fair in northern Louisiana and Remedies said he and his wife would always request to be seated next to the Elkinses. "They always have a smile on their face. And they're always just very, very friendly people -- good Christian people of faith," he said. Four family members were trying to fly to Edmonton on Wednesday, but the only commercial flights available would have had them arrive Thursday evening. So Remedies offered to fly them on his six-seater Beechcraft Baron twin-engine plane. The family members didn't have passports, so Remedies worked with elected officials to have some made within a few hours. They travelled to the national passport office in Hot Springs, Ark., to retrieve them and took off from an airfield there. "It certainly wasn't an easy thing to do, but it was the right thing to do," said Remedies. "The important thing was that family was reunited with the young child and with Curtis and Curtis' daughter last night." The relatives arrived at 2:30 a.m. Edmonton time on Thursday. night and get them here."